Immerse yourself. Its everything applique. Learn something new. Refine your skills. 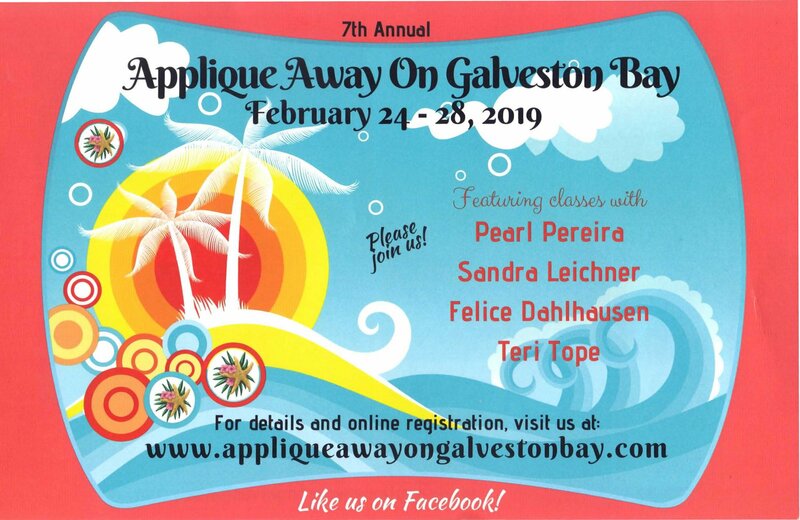 There's something for everyone from Beginner-Advanced, to learn from four fabulous Instructors- Pearl Pereira, Sandra Leichner, Felice Dahlhausen and Teri Tope.